The annual vehicle inspection process in New Hampshire includes an On-Board Diagnostic (OBD) test along with the Safety inspection. This website provides information to help motorists understand the inspection process and NHOST Program. 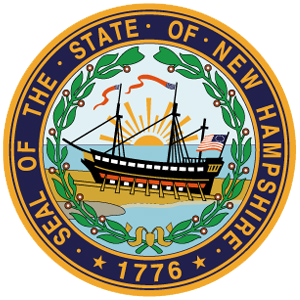 On October 1, 2007, the State of New Hampshire transitioned into the final stage of the OBD emission program. All automobiles and light-duty trucks whose model year is 20 years old and newer must now pass an OBD emission system inspection during its inspection period. Rejected vehicles will be required to be repaired and re-tested to verify repairs before an inspection sticker will be issued. Vehicles must pass an emission system test to ensure they are running as cleanly and efficiently as possible. This will help maintain good air quality, making it cleaner for everyone enjoying the scenic public ways of New Hampshire. 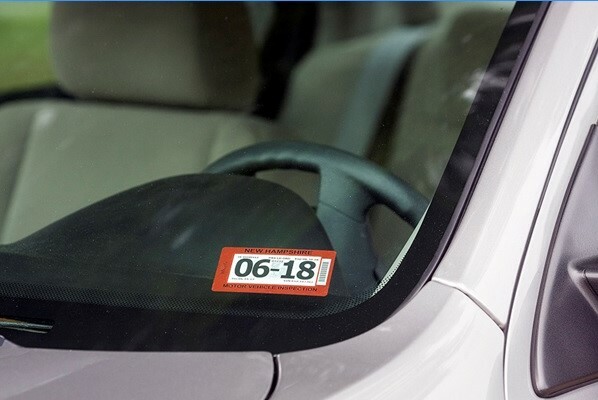 Press Release from NH DMV on August 1, 2017: The New Hampshire Division of Motor Vehicles announced today that starting October 1st inspection stickers will be affixed to the lower, driver side corner of a vehicle’s windshield (see picture below). This change was prompted by many newer model vehicles being equipped with crash avoidance technology located in the area where inspection stickers are currently affixed. The DMV has also redesigned the existing sticker in order to improve the current inspection sticker issuance process. The new inspection stickers will have both the month and year of expiration printed on them and will contain several new security features including a hologram backer. Certain vehicles, such as motorcycles, will continue to utilize the current inspection stickers. Visit NH.GOV/DMV for the most up to date information on this and other Division of Motor Vehicles news.